It’s 2 years in a row that we have achieved top-tier rankings in the Legal 500 Asia-Pacific for the two main practices of our firm including dispute resolution and shipping. This is indeed our great pleasure and honor. In Dispute Resolution, our Founder, Mr. Nguyen Manh Dzung, who is now an independent arbitrator and mediator is in the list of leading individuals and our Arbitration Counsel, Ms. Nguyen Thi Thu Trang is also in the list of next generation lawyers. In shipping, our name is given a prominent position in the ranking list and our Managing Partner Dang Viet Anh is one of the leading individuals. As mentioned in the Legal 500, our shipping team, led by our Managing Partner Dang Viet Anh, has handled various matters including vessel collisions, salvage, charterparty disputes, ship arrests, cargo disputes as well as shipbuilding matters. Other lawyers of note in this practice include Ms. Vu Phuong Trang and Senior associate Nguyen Le Quynh Chi. The Legal 500 is one of legal directories useful for law firms and in-house counsels. It reflects a subjective overview, based on systematic research and the ranking is updated annually. This entry was posted in News on January 18, 2019 by Hoang Giang. During the 55th Plenary Meeting on Monday 17 December 2018 within the 73rd session of the United Nations General Assembly, the UN member states elected new members for the UN Commission on International Trade Law (UNCITRAL). 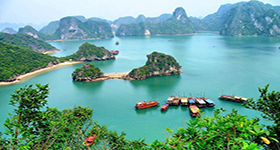 At the meeting, Vietnam was chosen by 157 out of 193 states to become a member of the Commission. This is the first time Vietnam was elected for this position and its tenure would be from 2019 until 2025. The Commission was established by the UN General Assembly in 1966 “to promote the progressive harmonization and unification of international trade law”. Since then, the Commission has made significant contributions to achieve this mandate, including preparing and promoting the application of international conventions and model laws in the field of international trade law. The Commission prepared among others the UN Convention on Contracts for the International Sale of Goods 1980 (the CISG), the UN Convention on the Carriage of Goods by Sea 1978 (the Hamburg Rules), the Convention on the Recognition and Enforcement of Foreign Arbitral Awards 1958 (the New York Convention), the Model Law on International Commercial Arbitration 1985, the Arbitration Rules 1976, as well as certain practical notes and guidelines in different areas of international trade law. These instruments are regarded as some of the most prominent successes in the harmonization process of international trade law and the Commission is regarded as a core legal body of the UN. 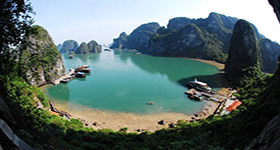 In recent years, Vietnam has actively integrated into the world economy and already been a party to the CISG and the New York Convention prepared by the Commission. Over the past years, Vietnam has participated in the Commission’s affairs as an observer to actively contribute to the meetings and discussions of some Commission’s Working Groups. The Commission’s model rules and guidelines have also been used by Vietnamese entities in their business operation and dispute resolution. Vietnam’s official membership in UNCITRAL shows the worldwide recognition of our contribution to the common work of the international community and marks a further deep step of Vietnam into multilateral legal integration. 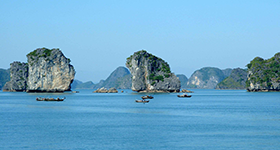 Membership of UNCITRAL would help Vietnam up to speed with the most current developments and trends in international trade law and enable us to revise national laws on trade, thereby reducing obstacles and facilitating international trade. 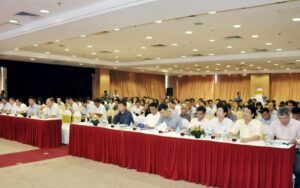 Most importantly, this is a great opportunity for Vietnam to a construct and shape common international rules right from the stage of discussion and negotiation with regard to the issues that Vietnam is having a concern about especially investor-state dispute settlement, international commercial dispute settlement, and electronic commerce. This entry was posted in News on December 20, 2018 by Hoang Giang. We are pleased to announce that we have achieved Chambers and Partners Band 2 ranking in the practice of Dispute Resolution in Asia – Pacific. Dispute resolution is one of our main services. Our Partner Nguyen Ngoc Minh has been individually recognized as an Up and Coming Lawyer for Dispute Resolution in Asia – Pacific. According to the Chambers research, he is a notable practitioner who has been praised by interviewees as “a brilliant and articulate, and also very hard-working” lawyer. Chambers and Partners ranking is based on their independent research which have been trusted by a lot of firms across many practice areas and geographies in years. Chambers identifies the best law firms and individual lawyers globally. This entry was posted in News on December 6, 2018 by Hoang Giang. The arbitration team of Dzungsrt & Associates LLC has secured an award of around 2 Million USD for our international client in a construction arbitration at the VIAC. The Case has been ongoing for three years and involved multiple issues of EOT, price adjustment and contract finalisation. Our Dispute Resolution Practice is headed by Mr Dang Viet Anh – Managing Partner and Mr. Nguyen Ngoc Minh – Partner, who are both CEDR Accredited Mediators, with other members such as Ms. Tran Ha Han – Senior Associate, Ms. Nguyen Thi Thu Trang – Arbitration Counsel, Ms. Nguyen Le Quynh Chi – Associates and Ms. Dang Vu Minh Ha – Associate. They are all experienced, capable and enthusiastic. This entry was posted in News on May 17, 2018 by Hoang Giang. At the end of January 2018, CEDR, the largest conflict management and resolution consultancy in the world, for the very first time in Vietnam, directly organised a training course on mediator skills with the collaboration of IFC Vietnam Ministry of Justice and Vietnam International Arbitration Centre (VIAC). Two Partners of Dzungsrt & Associates, Mr. Dang Viet Anh (Saigon Office) and Mr. Nguyen Ngoc Minh (Hanoi Office) who participated in the training course and have been granted with certificates for CEDR Accredited Mediators. Mediators achieving CEDR accreditation are recognised internationally as offering a service of quality and integrity. Besides our participation in drafting Decree No. 22/2017/ND-CP on Commercial Mediation, we consider this event one of our successes in the aim to strengthen our practice in the field of Mediation in Vietnam. This entry was posted in News on March 5, 2018 by Hoang Giang. As of 1st January 2018, Mr. Nguyen Manh Dzung will officially be stepping down from the position of Managing Partner of Dzungsrt & Associates LLC, to mainly focus on his work as an arbitrator, without the conflicts in a small local arbitration community. In addition to serving as a fulltime arbitrator, Mr. Dzung expects to be available for selected assignments as independent researcher and policy advisor, particularly in matters involving Arbitration and Mediation, Justice System and Public Policy. Mr. Dzung will also continue his work as an Adjunct Lecturer of Law at the Judicial Academy of the Ministry of Justice of Vietnam where he has taught arbitration and mediation skills for the past 7 years. The position of Managing Partner will officially be assigned to Mr. Dang Viet Anh, who has been the Partner of the firm since 2012 and then the Executive Partner. Mr. Viet Anh has extensive experience in handling cases in a variety of sectors such as commercial disputes, insurance, re-insurance, marine and international trade. With more than 19 years of experience, Mr. Viet Anh is not only practising in both wet and dry shipping but also providing many lectures to students. He is well known for Admiralty work, from collisions and other marine incidents, salvage and wreck removal, total loss and GA claims, groundings, arrest and release of ship to all other general shipping disputes. He has also handled all kinds of ship finance, namely ship building, sale & purchase, management agreement as well as charterparty, bill of lading and disputes arising therefrom. He has frequently represented sellers, buyers as well as their banks, mortgagees in S&P deals and sources have praised his diligence and he is described as “understands what clients are looking for and is able to provide clear and practical advice” – THE LEGAL 500 of 2018. Ms. Vu Phuong Trang (Corporate Partner) has been being the Deputy Director & Head of our Saigon Office. She is a member of the Bar Association of Ho Chi Minh City and has over 11 years’ experience and her expertise covers most aspect of maritime law with particular emphasis on sale and purchase and newbuilding contracts, carriage of goods by sea, charter party and bill of lading disputes. She has worked closely with in-house counsels of major shipping companies located in Vietnam, claim handlers of leading P&I Club and H&M underwriters as well as their correspondents around the world and provided them with key advices, prompt assistances and strong supports on their daily works. She has also supported domestic and foreign clients in numerous matters such as: labour, tax, import and export tariff, customs procedure, business establishment, corporate governance and organization and dissolution and bankruptcy. 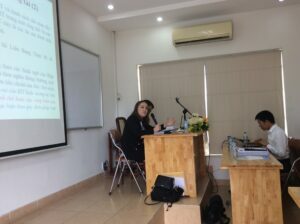 She has also acted as protecting lawyer and authorized representative for many foreign clients at Vietnamese courts. Mr. Nguyen Ngoc Minh, who is the Deputy Director & Head of our Hanoi Office has been recommended by our clients as: has ‘very broad experience in commercial disputes, and provides practical and precise advice regarding litigation in Vietnam’ – THE LEGAL 500 of 2018. Mr. Minh is specialized in Arbitration Enforcement Litigation, Commercial Law, Insurance Law and International Trade Law. 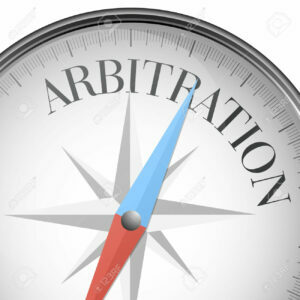 He has participated in arbitrations at the Vietnam International Arbitration Center (VIAC) to resolve disputes involving foreign invested companies and international corporations. He has also been a key commercial litigator in cases on recognition and enforcement in Vietnam of foreign arbitral awards. In addition, he has assisted high profile clients on various matters of commercial, maritime and insurance natures. Mr. Minh is the co-author of the Vietnam Chapter in Getting the Deal Through 2012 & 2013 Editions published by Law Business Research Ltd in 2012. This entry was posted in Announcements on January 1, 2018 by Hoang Giang. 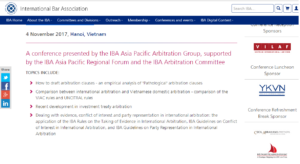 We are delighted to be one of the sponsors of the IBA-APAG International Arbitration Training Day: Introduction of the IBA Soft Laws takes place on 4th November 2017 in Hanoi. This entry was posted in News on September 19, 2017 by Hoang Giang. This entry was posted in News on August 12, 2017 by Hoang Giang. On the morning of August 11, the Ministry of Justice held a Conference to implement the Governmental Decree No. 22/2017 / ND-CP on Commercial Mediation (Decree No. 22/2017 / ND-CP) with the participation of many agencies and organizations at central and local level. This entry was posted in News on August 11, 2017 by Hoang Giang. 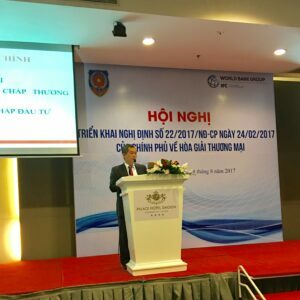 On 9 August 2017, Vietnam National shipping lines (VINALINES) co-ordinated with Dzungsrt & Associates LLC to organise a Training course on “Latest Updates On Maritime Legislation & Maritime Disputes”. This entry was posted in News on August 9, 2017 by Hoang Giang. Copyright © 2013 Dzungsrt & Associates LLC. All Rights Reserved.